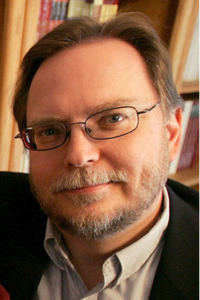 Mark Brumley is a California-based writer and CEO of Ignatius Press in San Francisco, one of the biggest U.S. Catholic publishers and multimedia distributors. He was also an apologist with Catholic Answers and was director of Communications and of the Office for Social Ministries of the Diocese of San Diego. He is the author of several books, including The Seven Deadly Sins of Apologetics, and executive producer of several religious documentaries. He worked with the late Cardinal Avery Dulles, S.J., to publish an updated edition of his History of Apologetics. He holds a Masters degree in theology from the University of Dallas, is a Trustee of the Dominican School of Philosophy and Theology in Berkeley, and lives with his wife and some of his children in Napa, California.